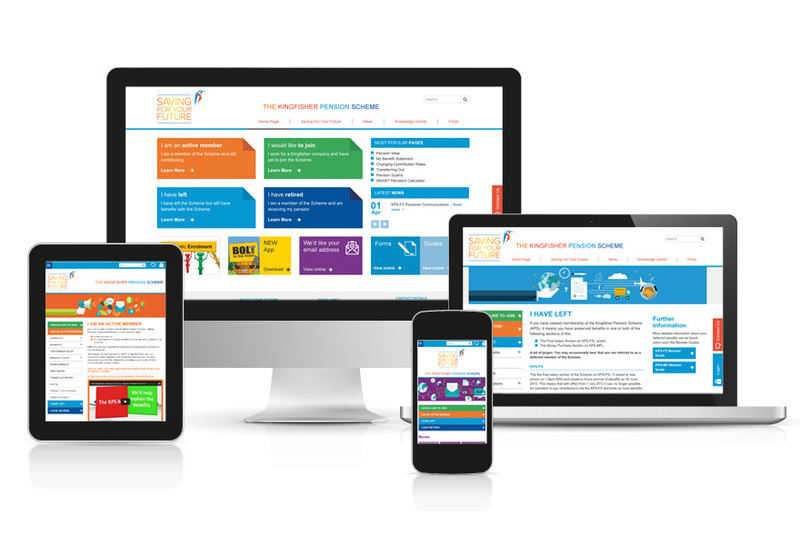 Responsive Web Design London – As well as the visual design, we carried out detail content structure and user interface design work. 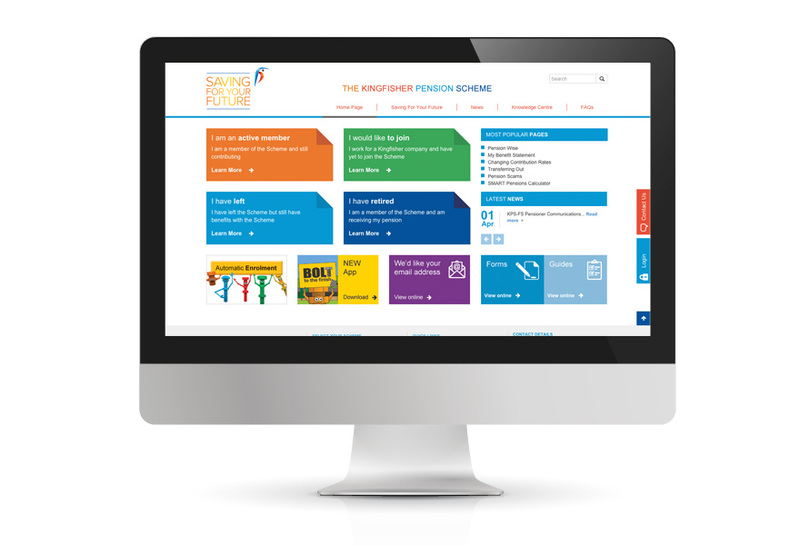 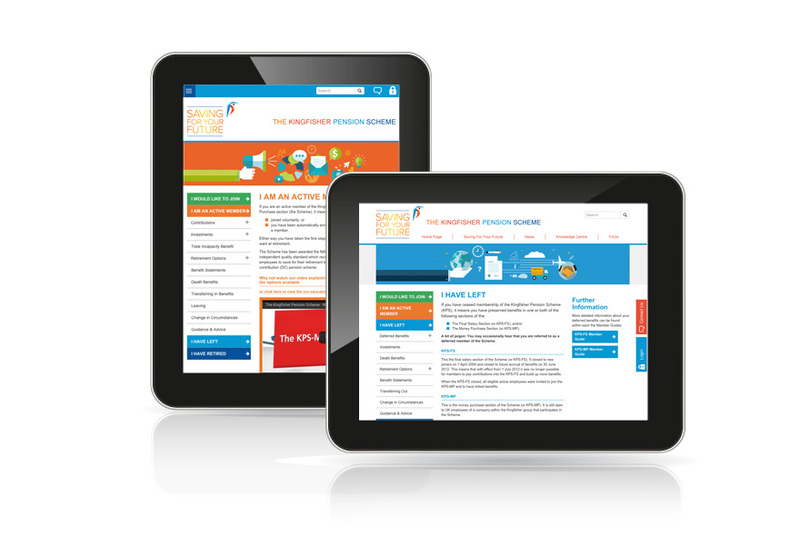 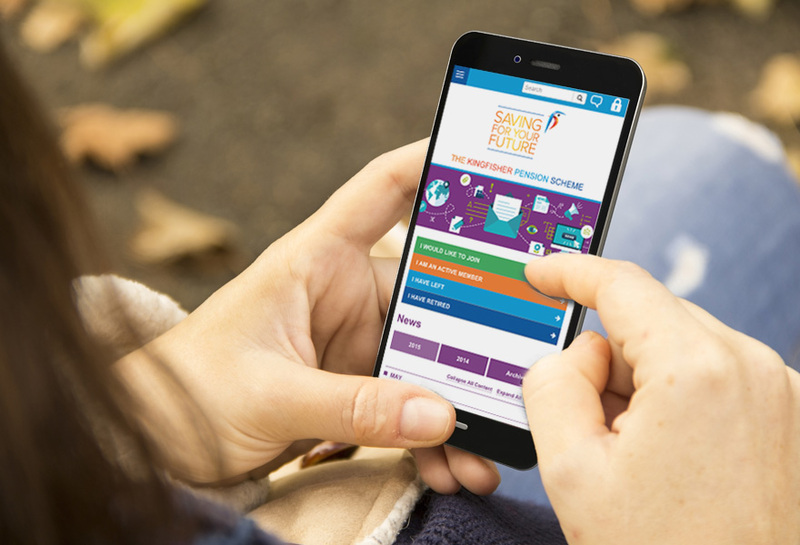 Kingfisher, the London based retail group and parent company of B&Q, needed a responsive web design for their pensions site, so that their members could easily access key information from different devices. 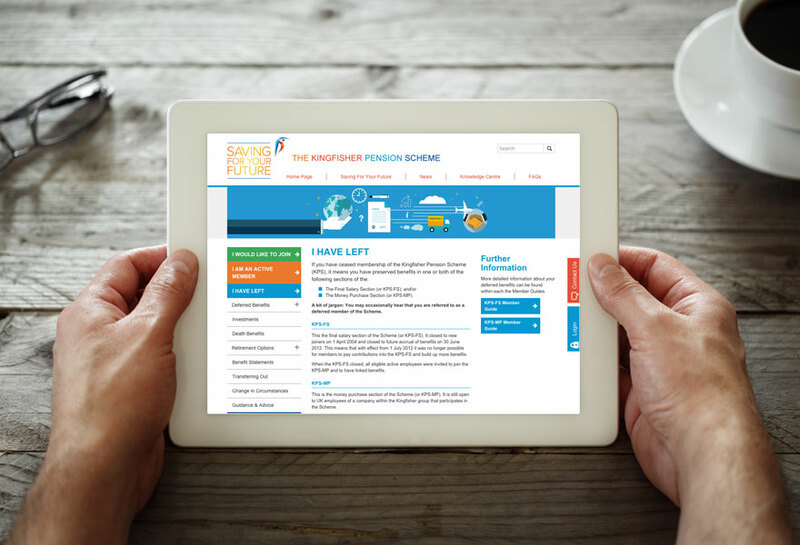 As well as the visual design, we carried out detail content structure and user interface design work to ensure that information was easy to understand and that members were steered towards the content relevant to them.